This unique eco-lodge was awarded the Blacket Award for outstanding architectural merit, outside of Metropolitan Sydney, by the Royal Australian Institute of Architects. Using the latest in eco-friendly technology, it is extremely energy efficient. The Eco Lodge consists of 2 double bedrooms that open onto the mountain grasses. Each enjoys a separate bathroom. There is also a study that sleeps 3 (1 bunk bed and another small single bed). Set into the side of the mountain, the lodge is perched above the river and allows you to enjoy the Australian landscape in comfort. Wake up to watch the morning mist roll over the mountain ridge. Enjoy your morning breakfast on the sun drenched deck or lie in a hammock by the river. Extensive bush walking tracks, swimming holes and picnic spots. Cox's River Rest is set on approximately 1600 acres. It is a mix of grazing paddocks and untamed Australian bushland, and is bounded by a 5 kilometre loop in the Cox's River. The Eco Lodge is an eco-friendly accommodation option on Cox's River Rest. This secluded escape is situated in the Megalong Valley, only 30 minutes drive from Blackheath in the Blue Mountains (about 1.5-2 hours drive from Sydney). Hidden at the end of the valley and right on the river - bring your mountain walking shoes, hearty books, good food and some great Aussie wine and have a ball! The property is easily accessible and conveniently close to all the wonderful things the Blue Mountains has to offer, but it also has walks and scenery of its own more than enough to occupy your whole weekend. Maps and ideas are provided at the lodge for your information. Weekend Stay - check in from 2.30pm Friday afternoon, check out Sunday afternoon. 2 nights minimum. Mid-week stay - check in from 2.30pm, check out by 10.30am. 2 nights minimum. Offered for Mon/Tues/Wednesday nights ONLY. If available and booking in advance, you are able to book a weekend stay and extra nights together. See prices and Special Offers below for more details. Unfortunately we are not able to split weekend nights and all bookings need to be a minimum of 2 nights. We apologise for any inconvenience caused. Horse riding experiences are available - requires booking and payment in advance. Picture perfect. Gorgeous and quiet. The fire was wonderful, bedding kept us warm even when it fell to -4. Toilets were a little smelly. This was our 3rd stay. This time our 2 teenagers bought s friend each and we all had a great time. We will definitely be back for a 4th stay. It’s quiet and relaxing. The house is perfect in winter or summer. 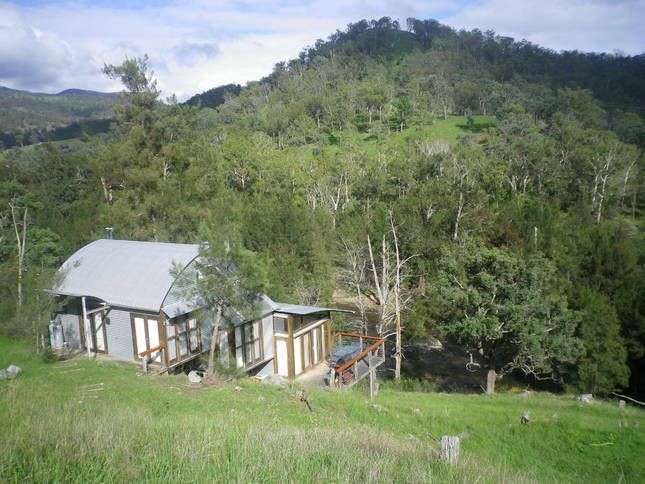 The property and the whole valley is just stunning and the Eco Lodge feels like you are a million miles away from everything, but it’s only just over 2 hours from Sydney. The kids loved exploring the property and spent a lot of time at the river and in the flying fox. The Icelandic horses are just beautiful and very friendly and loved our daily visits and pats. A relaxing, chilled 4 nights away from he world! It was a pleasure hosting Wendy's family again. They respect the animals and nature that surrounds the property very well and leave the place tidy. Thank you and hopefully until another time! Out of control - so good! This place really blew us away! It's in such a beautiful area, it almost felt like being in another country entirely.